Earlier this week on my Facebook page, I asked folks to send me questions to ask college admission representatives at a Western college conference that I am attending. I got about three dozen questions from parents and I hope to answer as many as I can in upcoming posts. Today I’m going to start addressing some standardized test questions. When looking at SAT scores, and the student has taken the SAT more than once, does the admissions office ‘super score’ – meaning that they take the highest score from the Math, Writing and Reading, regardless if multiple sittings? It’s very common for schools to cherry pick the best scores. If a student takes the SAT multiple times, a school will select the highest individual scores in math, reading and writing and combine them. It’s to a school’s advantage to super score because then it can report higher SAT scores that will make the institution look more exclusive. Parents and teenagers often examine SAT and ACT ranges when they are researching more selective schools. Some highly elite schools don’t super score, but they don’t have to because the students that they accept have stellar scores across the board. While many schools cherry pick the best scores, I don’t know of any centralized list. You’re just going to have to ask the schools that interest you. This information could be on an institution’s website. Googling the name of the school and “super score” can help you locate it. Here, for instance, is the super score information for the University of Chicago, which super scores for the ACT and SAT. Question No. 2: Do schools super score the ACT? ACT super scoring isn’t as prevalent among institutions probably because the ACT is a composite score. When a college sees an ACT score of 27, for instance, it doesn’t know what the underlying scores are for English, Science, Math and Reading. A website of a private college counselor – College Admissions Partners – has a list of schools that superscore the ACT. I don’t know, however, how comprehensive it is. Question No. 3: Do we need to take both the ACT and SAT or just one? We are looking nationally at highly selective colleges and so far have the ACT. All colleges and universities will accept either the ACT or SAT. It makes no difference. Whether a child should take the ACT or SAT requires a longer post in the future. 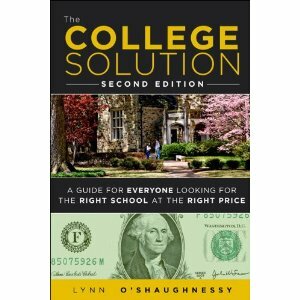 I did want to pass along a fascinating snippet of information that I heard at a presentation by a Princeton Review VP. He told the audience about the ACT vs. SAT experience at a girls’ private high school in Southern California. Staffers at the school have been tracking how its students have been performing in the ACT and SAT for years. In 85% of the time, the girls earn better scores on the ACT! I’ve always heard that girls generally do better on the ACT than the SAT, but this was an amazing figure. It could be that this high school does a particularly good job of preparing girls academically. This should boost ACT scores because its based on what you’ve learned in high school. But you have to wonder. My daughter scored much higher on the ACT (32) than the SAT. From my understanding the ACT tests actual knowledge whereas the SAT tests a student’s future learning ability. Also, ACT has a science section and the math includes some Trig, whereas the SAT does not. My daughter is more of a math and science student, but even the English section of ACT she scored a 34, much higher than her SAT score. We assumed it was the structure of the exam which she understood better. Each test she only took once and she decided to send only her ACT scores and then the SAT subject exams to the schools that required them. I also should mention she was not a good test taker. PSAT was low and really discouraged her, but I told her don’t let one test you take as a sophmore deter you. Final tests were always difficult too. My advice to students would be to take both the ACT and SAT because you may do much better on one overt the other.